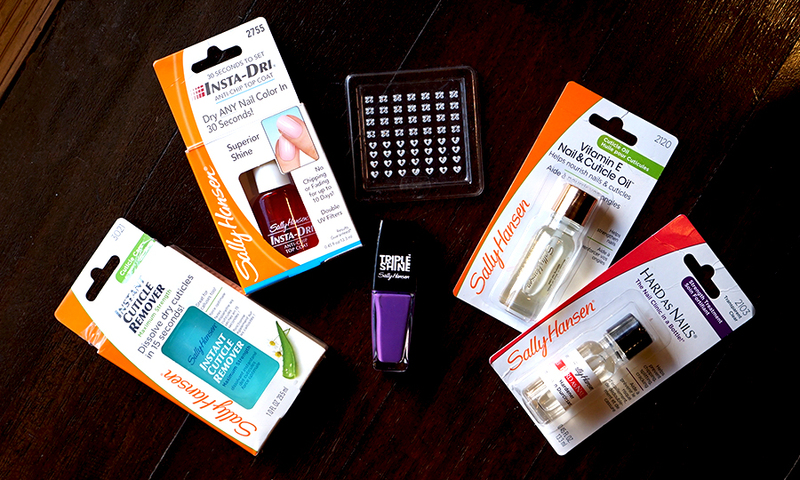 Sally Hansen Triple Shine Review and GIVEAWAY! Now, I'm no stranger to Sally Hansen products. In fact, they're my absolute favourite, and I find myself reaching for (and looking out for new) Sally Hansen products frequently. So when I was invited to a Sally Hansen workshop to experience their new Triple Shine Nail Color, I was excited, to say the least. I rocked up bright and early, camera at the ready, to learn about and capture some beautiful Sally Hansen Nail polishes. When I got home, I tried out a few colours from the line, and was beyond pleased at the result. I'm showing you guys an exceedingly simple nail look - for those of you who want pretty nails that grab peoples' attention (and I'm not kidding, so many people asked to look at my nails! ), but are really easy to create. All you'll need are a Sally Hansen Triple Shine Nail Color in the colour Vanity Flare (or any colour that you think is pretty, but not too light), a set of nail stickers (preferably with diamante detailing), and a good top coat. You don't even need a high-shine top coat, because these Triple Shines are extremely glossy. I also use my old favourite - the Hard as Nails - and a new discovery - the Instant Cuticle Remover - to help get my nails in shape for my manicures. 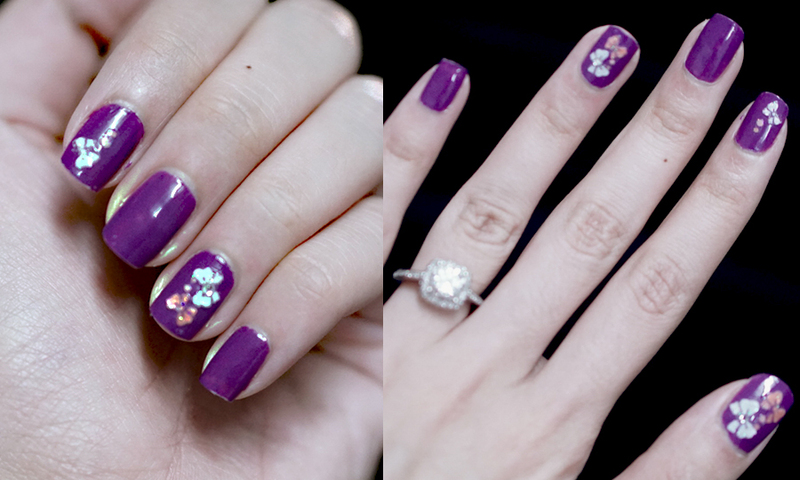 Paint your chosen Triple Shine Nail Color on, then follow after a minute or so with your nail decals/stickers. Once those are on, wait another minute, and you can apply your top coat. My top coat of choice was the Sally Hansen Insta-Dry Anti Chip Top Coat. I've tried all kinds of Sally Hansen top coats, and in my experience, they're high-shine and reasonably chip-resistant, so you won't be disappointed. One of the main reasons why this nail look is so attractive is the fact that the nail colour is so glossy; add a glimmering crystal in the mix here are there and you've got a stunning nail look that everyone will definitely notice. 1. It's easy to apply - the brush is wide enough so 3 easy swipes is all you need to apply an even coat of colour. 2. They're fabulously glossy - I love nail colour that stands out, and anything with that amount of gloss in it is always going to look sophisticated and glam. 3. It cares for your nails - the formula is infused with pro-vitamin B5 and vitamin E, so you're looking out for your nails on top of dressing them up! 1. 'Like' Sally Hansen on Facebook. 2. Leave a comment down in the comment box below telling me why you deserve to win these Triple Shine Nail Colors. And that's that! I will pick the two winners and announce them on my Facebook page!